You know how it is. You never really notice all of the red cars on the road until you buy a red car. And then suddenly they’re everywhere! 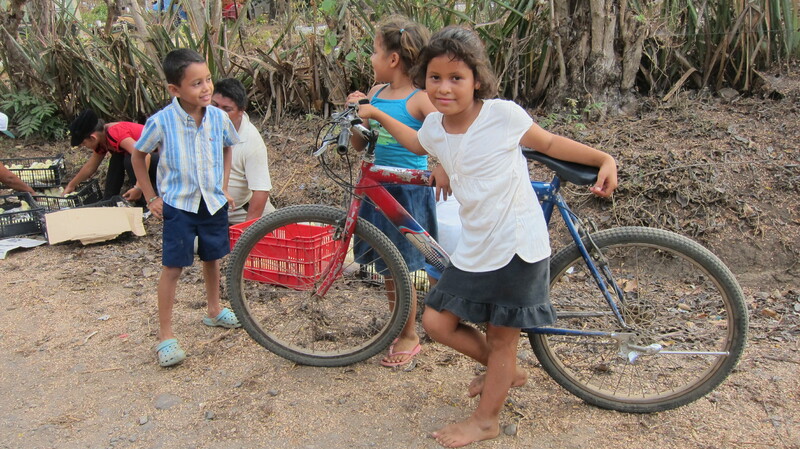 As many times as I have been to El Salvador I have noticed but not really seen all of the bicycles on the road. However, this trip was different — probably because I purchased a mountain bike and started cycling this past December. Now I see bikes everywhere I go. Every day I spent in El Salvador last week, I could not help but notice all of the bikes as we drove past villages nestled in the mountains. While I could easily count all of the cars that I saw in the villages on one hand, I lost track of the number of bicycles that I saw. It seems as though every family had at least one or two mountain bikes, the affordable transportation of choice in these rural areas. 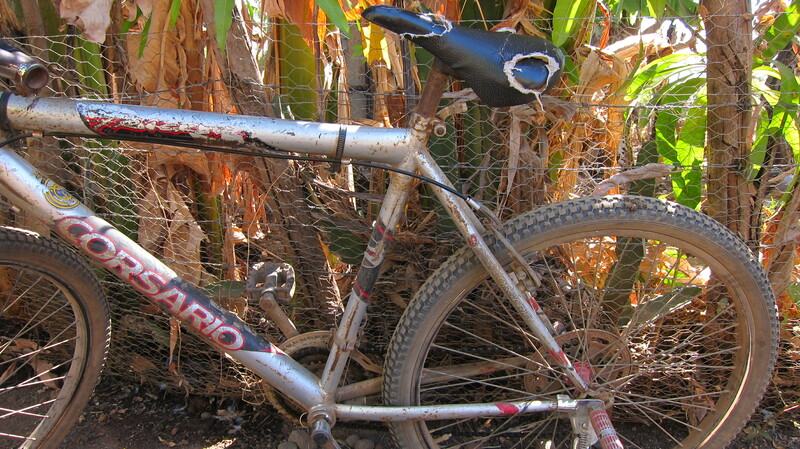 Every bike that I saw showed signs of hard and heavy usage: worn out seats, rusty handlebars, greasy chains, the occasional machete wedged into the frame, non-working brakes. I also noticed riders ranging in age from very young to the “what is a person that age doing on a bicycle” end of the age scale. Another thing that became apparent is that the folks in the village areas we visited are not into recreational cycling. Bicycles for them are a necessary mode of transportation on the rocky mountain roads. The poor who live in the mountain villages are excellent riders. Because they have grown accustomed to riding up and down steep grades, young and old riders alike have developed the right set of muscles for riding long distances. In spite of the condition of their bicycles and the absence of convenient bicycle shops, these folks have somehow managed to keep their bikes in working order. They have to or else travel can become even more of a challenge. On Sunday afternoon, I got on my bike and did a twenty-mile loop on the bayou trails near my house —a purely recreational ride. 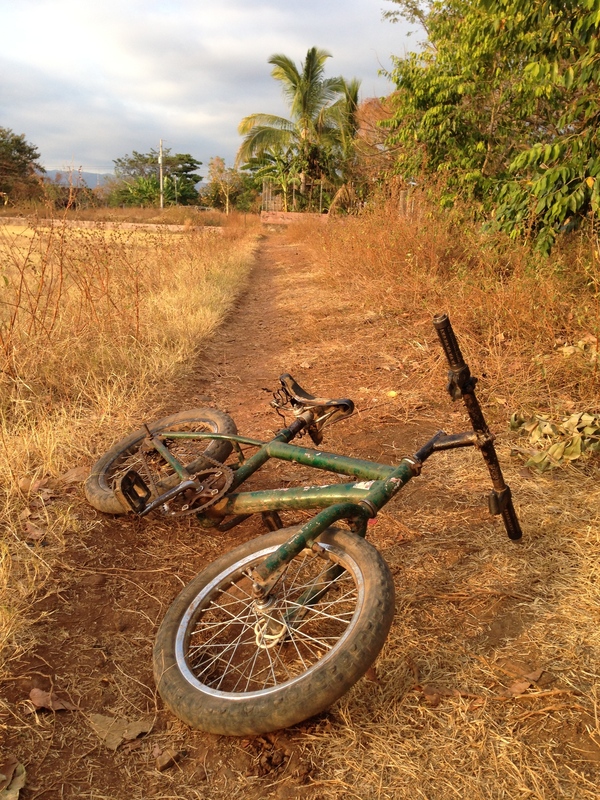 As I rode I could not help but think about and pray for the people of El Salvador. I have great respect for these resourceful, hard-working, resilient, and good-humored people. 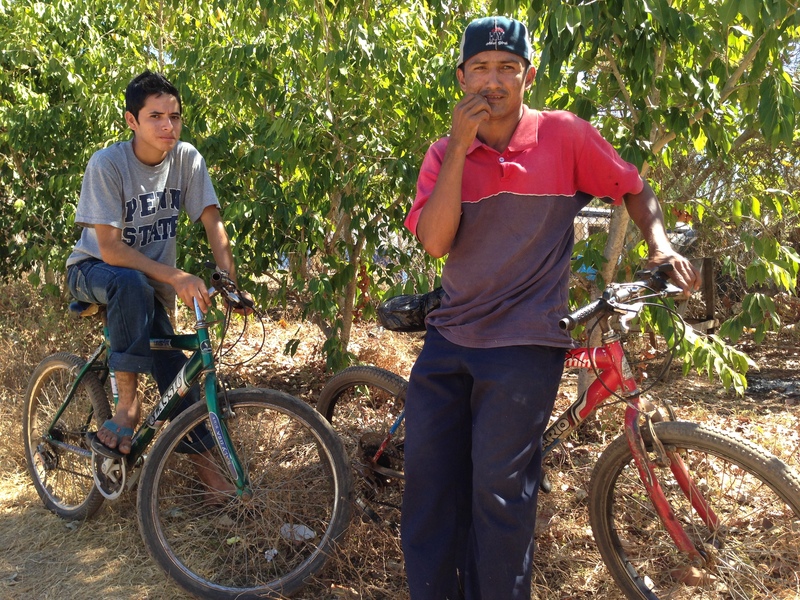 Bicycles are to them an important tool for commuting from home to markets and schools and jobs. 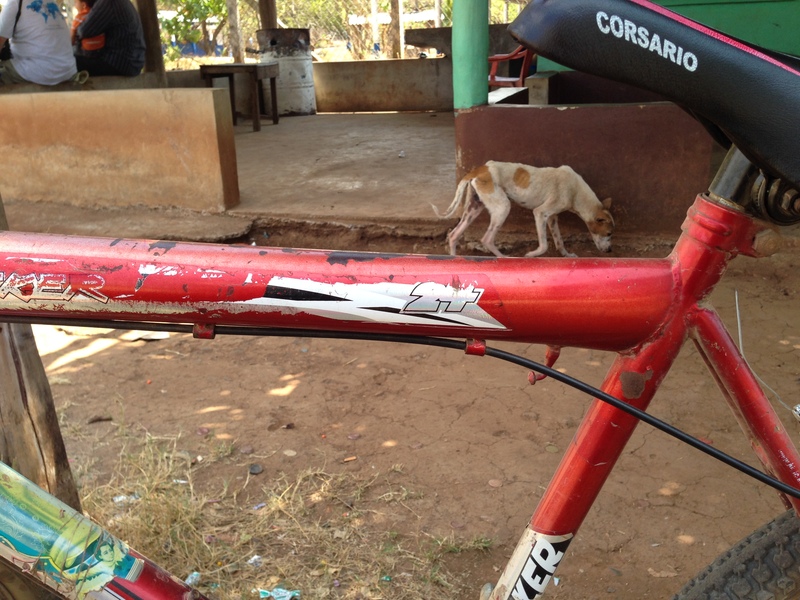 While I enjoyed seeing the bicycles of El Salvador, I most enjoyed getting to know many of the folks who ride them. They will continue to have a special place in my heart.